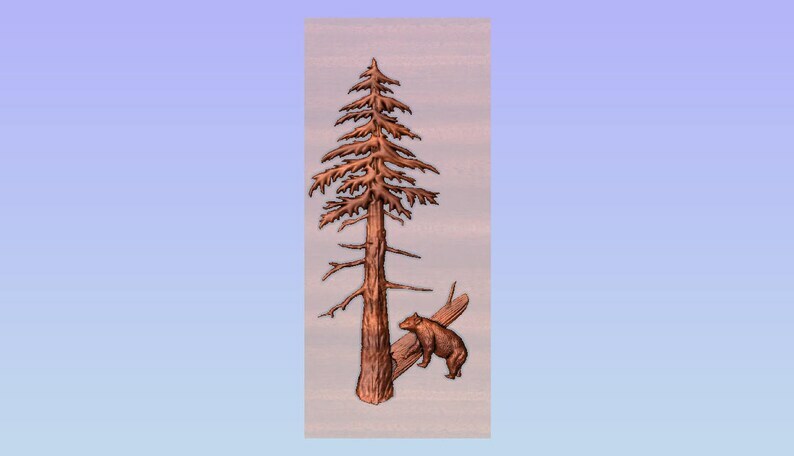 Do you love California Redwoods and black bears? This stunning, wood carved, redwood tree with a black bear climbing over a snag wall hanging will look amazing and fit nicely into your bear decor. It's the perfect gift for him for your 5th wood anniversary gift, rustic wedding gift for the best man or groomsmen not to mention how perfect it would look in your rustic hunting cabin. Personalize this gift by picking the wood, stain and finish. If you have any questions regarding this item, please hit the "Ask a Question" button next to the price and I will get back to you within 24 hours. THIS IS A CARVING MODEL EXAMPLE. This is a made-to-order wood carving and comes in 3 sizes. THIS LIST is for the 20 x 10 inch WOOD CARVING. We also offer 18 x 8.5 inches and 22 x 10 inches; each having their own separate listing. 1. Pick the quantity from the dropdown box. 2. Pick your wood species/stain preference from the chart listed as the last photo. IF YOU ARE HAVING TROUBLE DECIDING THE STAIN AND WOOD COMBINATION, JUST CONTACT ME VIA ETSY EMAIL SYSTEM AND I CAN SEND YOU PICTURES OF ACTUALLY CARVINGS DONE IN THE WOOD/STAIN COMBINATION YOU WANT JUST TO MAKE SURE YOU LIKE THE END RESULT. 3. Pick finish from the dropdown box.